A clear sky. Low 37F. Winds NW at 10 to 15 mph..
Deric Prescott decorates a humvee for a 4th of July Parade in this 2014 photo courtesy March Air Reserve base. Prescott, who is assigned to Air Force Space Command, faces a May court-martial for allegedly filing phony damage claims related to military moves. A lawyer assigned to Air Force Space Command faces a May court-martial for allegedly filing phony damage claims related to military moves. Court papers say Peterson Air Force Base Lt. Col. Deric Prescott was caught after he filed a damage claim after a 2016 move that was strikingly similar to damage claims he had filed in 2014 and 2011. He’s charged with larceny, attempted larceny and making false statements, which could bring five years behind bars for a conviction. Prescott was assigned to Minot Air Force Base in North Dakota when the allegations arose. According to the professional social media site LinkedIn, Prescott has spent the past decade in uniform, holding increasingly important legal jobs. Court papers say Prescott was quizzed by Air Force Office of Special Investigations agents at Peterson last year and claimed that items had suffered “repeat damage” in moves. 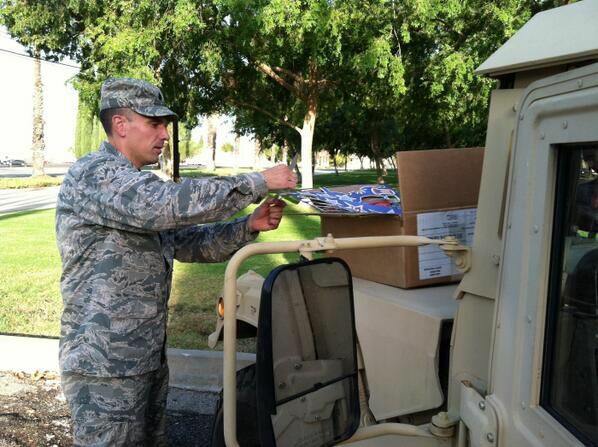 The military moves its personnel between bases about every three years, paying for moves. Troops whose belongings are damaged can file a claim and get cash reimbursement. One of the claims involves a statue of an eagle, which Prescott said had horrible luck. The lieutenant colonel told investigators the eagle had its claw broken off in a 2011 move. He filed a claim for the damaged raptor and told investigators he repaired the claw with glue. But the same eagle and same claw showed up in a claim from the 2016 move. Prescott said he couldn’t find the claw to fix it anew, which prosecutors say is part of an elaborate false statement. Prescott also claimed other star-crossed possessions, court papers show. He had a “stand” bent in one move, fixed and later bent again. The colonel had a speaker that showed up on three separate damage claims tied to moves.